Display your registration form to your newsletter (module prestashop or an external solution as aweber, mailchimp ..). 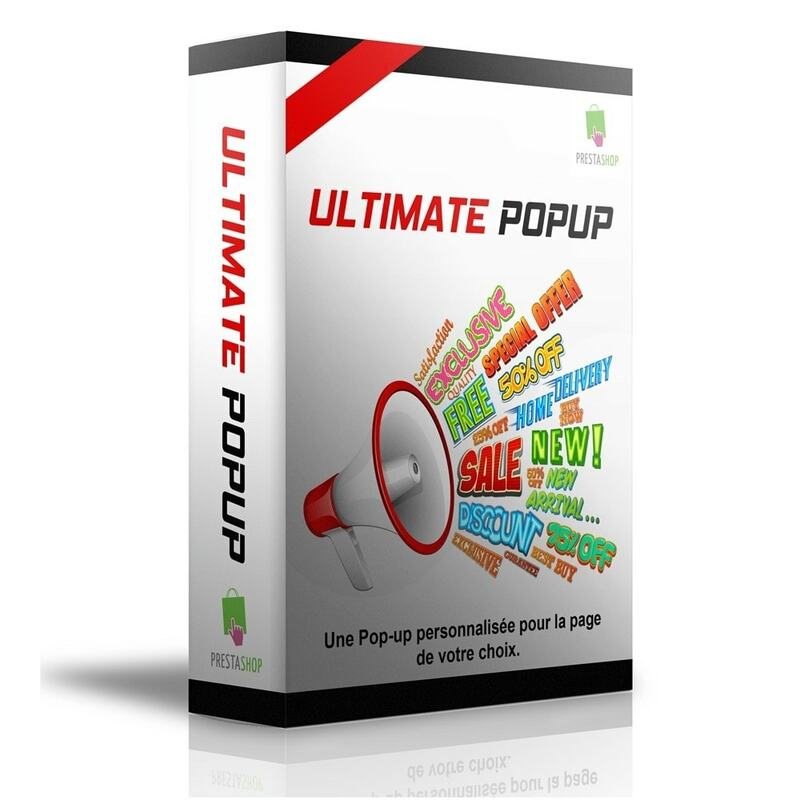 Ultimate Popup allows you to display a custom popup for the pages of your choice. For each page or group of pages, create your custom popup! Set the name of the popup. Set the height and width. Set the margin around the popup. Set the background color of the popup. Set the opening of popup effect. Set the effect of closing the popup. Set after how long the popup should appear. Set the contents of the popup via a html editor prestashop. Create as many custom popup you want. Statistics for each popup created: number of openings, number of clicks (link inside the popup), number of closures. You can view your popup in your back office. Popup opens once for each user or each visit, or once every X days. You can set a start and end date for each popup. 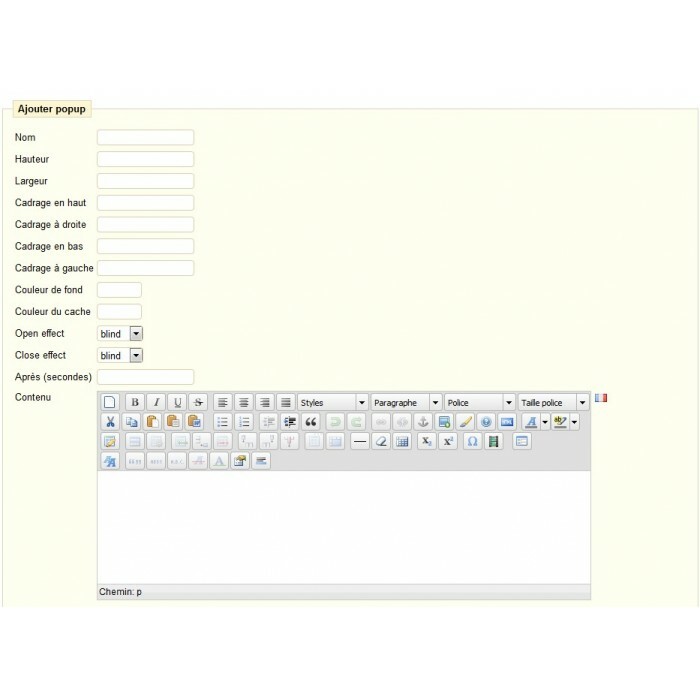 You can integrate the registration form for your newsletter. You can enable or disable popup for mobile. The client has a custom popup in relation to the page on which it is located. In case of problems, send me your access, and I fix your problem.